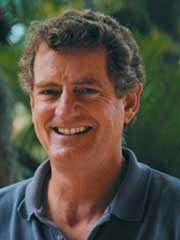 Michael Binford is a physical geographer and landscape ecologist who specializes in the study of environmental systems, or human-environment interactions. His research has taken him to South and Central America and Thailand to study the effects of climate variation and different government policies on land-cover and land-use change. Last summer he focused on North Florida to study how land ownership, land management and climate change influence carbon exchange and storage in industrial and non-industrial forests. Binford’s research could help quantify the amount of carbon removed from the atmosphere by forests in the southeastern United States coastal plain. Binford also is collaborating with an economist, an anthropologist and a plant biologist to study the relationship between economic, social and environmental patterns in Thailand. For the past five years, he has conducted field research with several graduate students and colleagues from other universities. Now, the group is analyzing environmental and economic data. One result of this work has been the finding that poor farmers of northeast Thailand, who are accustomed to extreme environmental variability in the form of severe floods and droughts, are more likely to repay loans made during times of economic hardship (such as the Asian economic crisis of 1997-1999) than wealthy farmers in the central region who have less experience with extreme variation. Binford established and supervises the computer laboratory in the geography department for specialized computing using geographic information systems, remote sensing and automated cartography. He also is a principal investigator with the Land Use and Environmental Change Institute. In 1999, Binford was the Robin and Jean Gibson Term Professor for the College of Liberal Arts and Science.